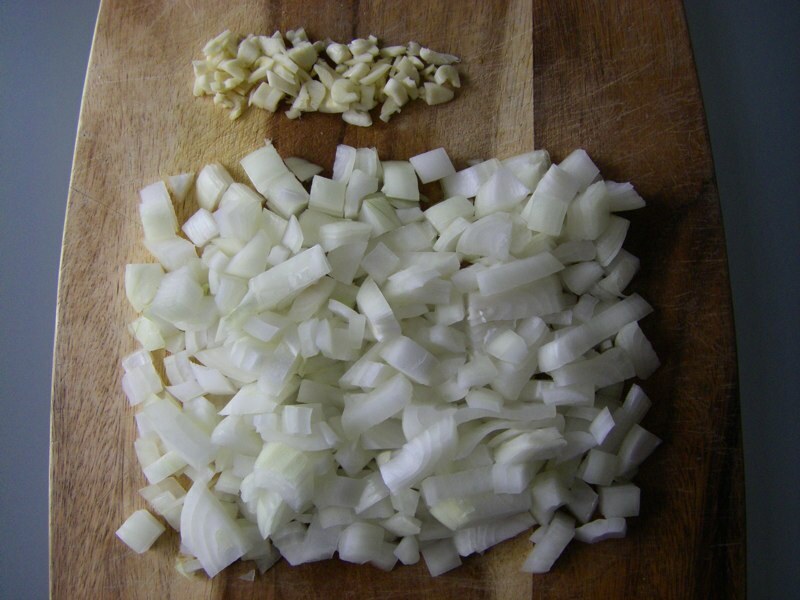 Cook More Smile More | Encouraging small steps and big blades. 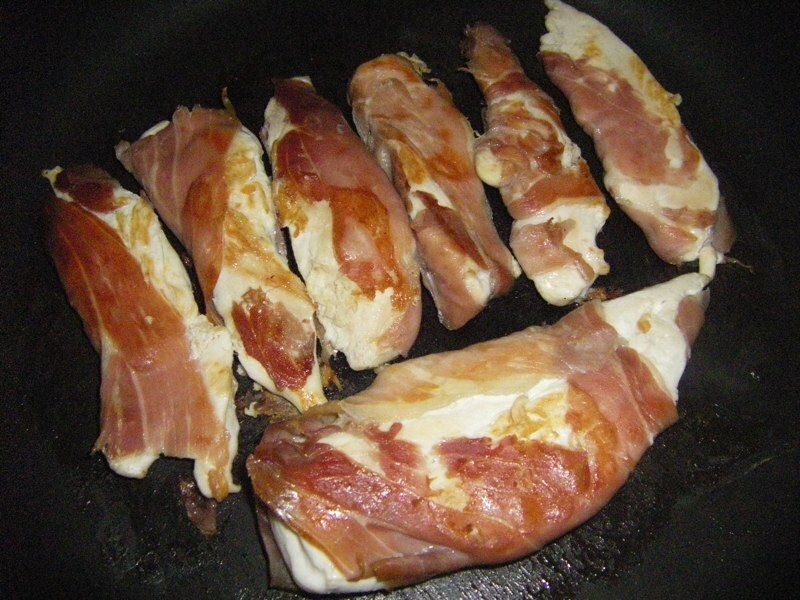 Prosciutto Wrapped Chicken is the simplest, fanciest recipe I am pleased to share with you! 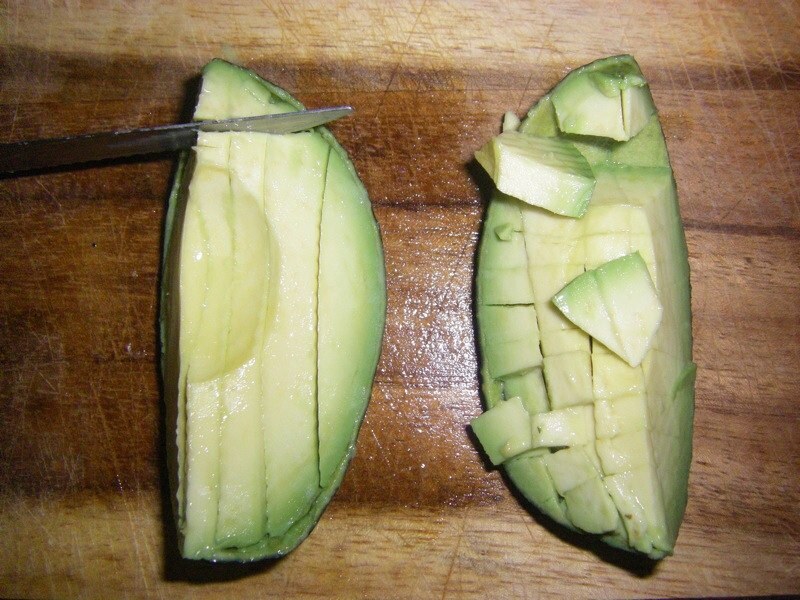 Literally two ingredients, you don’t even need oil for cooking. 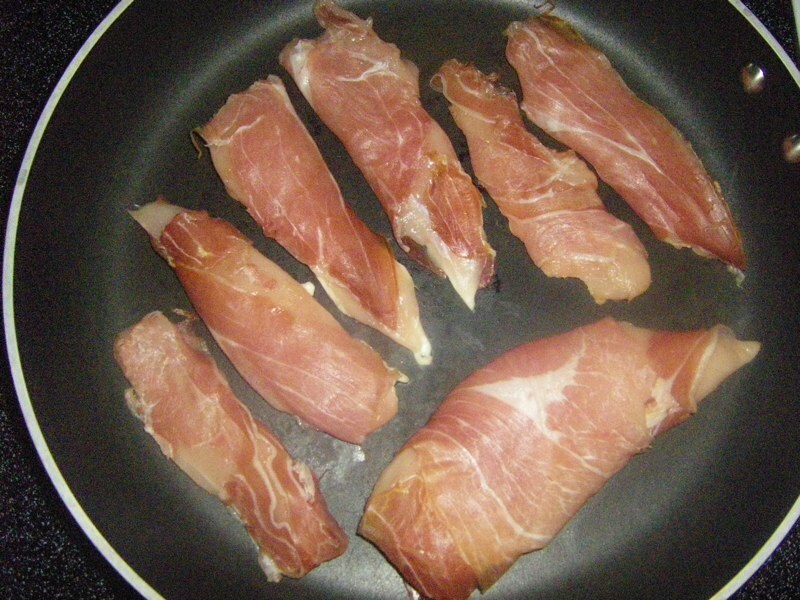 The prosciutto adds so much flavour, your dinner mates will think you put much more effort into the meal. 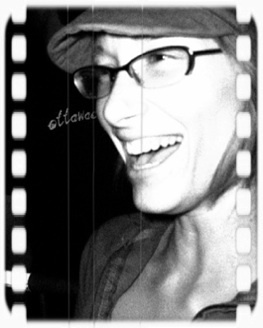 Just sit back, stay quiet and enjoy the compliments! You can use the same method to create fun, sophisticated chicken fingers. I often make these chicken fingers for picnics because they are just as delicious cold! Chicken: boneless skinless chicken breasts aren’t necessary, but very nice. 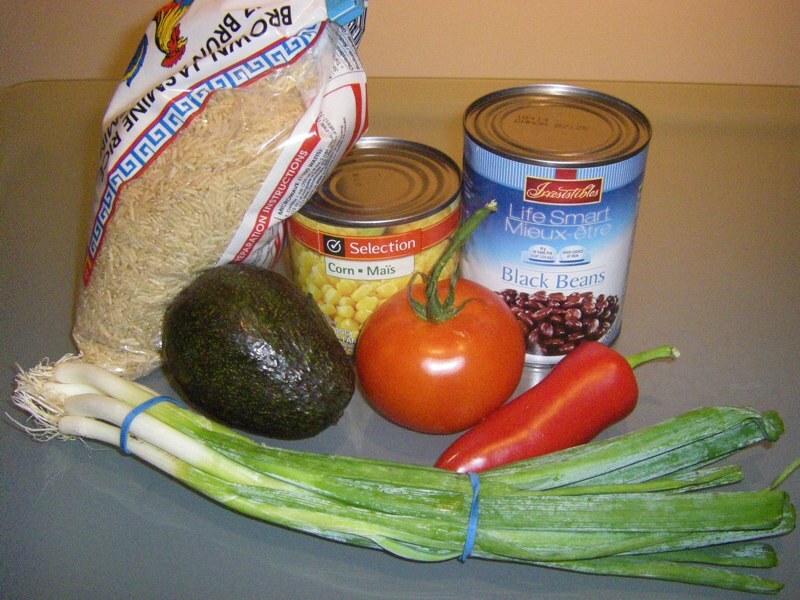 Note: I bought club pack sizes for each of these items so your meal should cost substantially less than the price tags on my photo indicate. 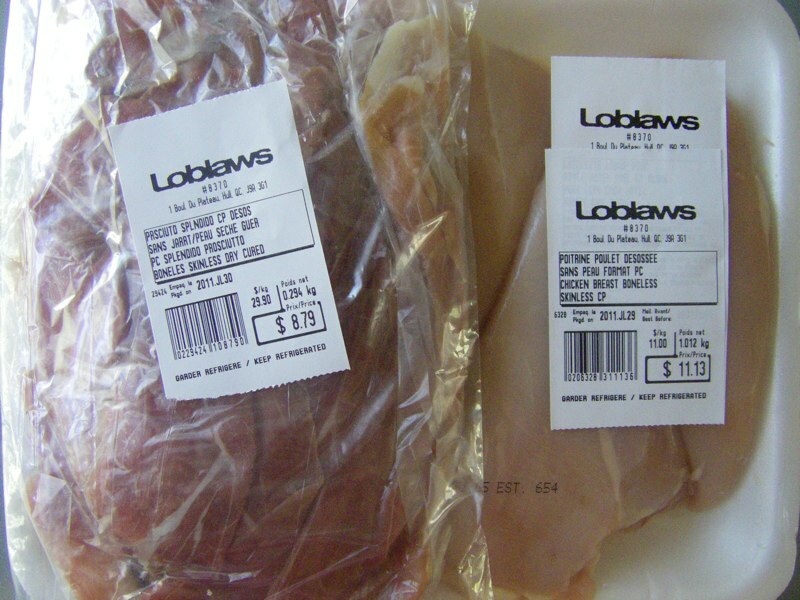 You only need one long slice of prosciutto per piece of chicken, so if you go to the deli counter of your local grocery store, you can ask for just two or four thin slices of prosciutto which will cost you less than $1. 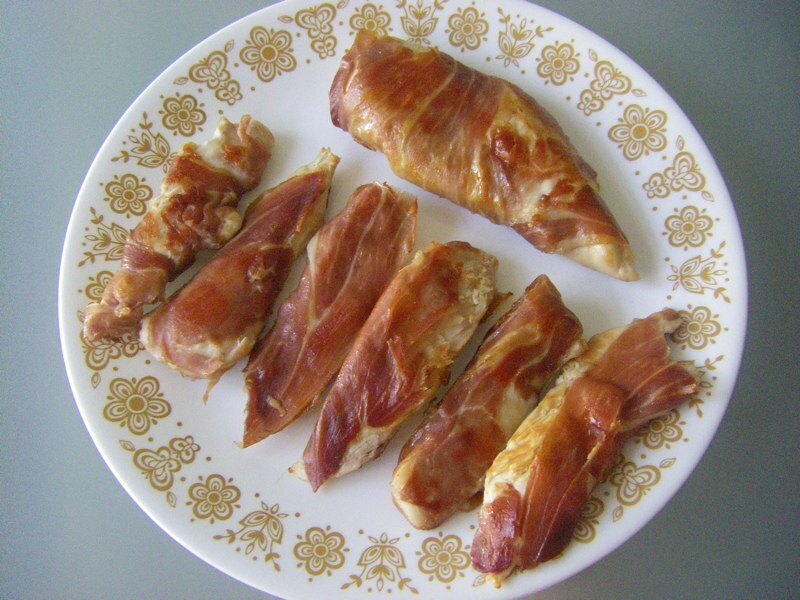 Wrap your chicken in a slice of prosciutto, or alternatively, for elegant fingers slice your chicken into 3 or 4 long pieces and then wrap in prosciutto. Fry on medium or medium low for about 7 minutes per side until brown and cooked through (a bit longer for whole chicken pieces, a bit less for the chicken fingers). Enjoy immediately or pack up some fingers for a nice picnic – they are easy to eat and just as delicious cold! Easy enough for any day, fancy enough for special days. Jump up. 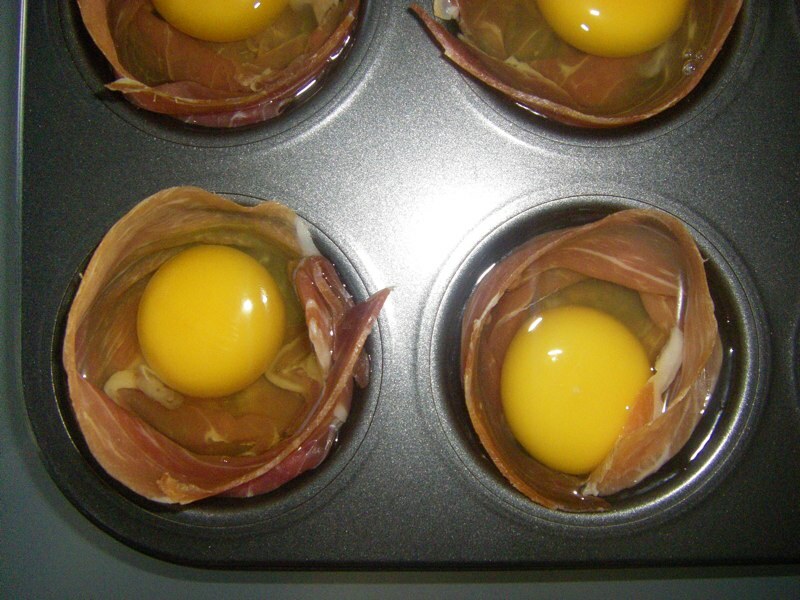 Prosciutto Egg Cups are great for so many reasons! 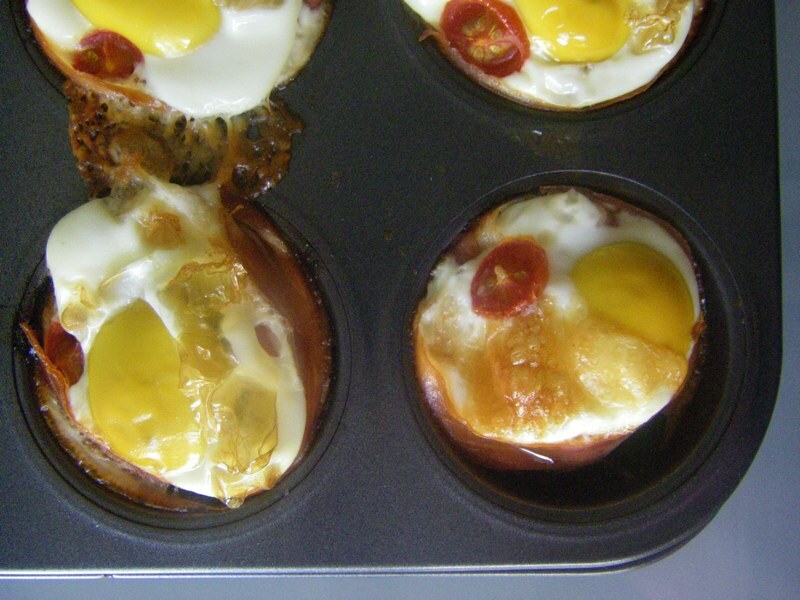 This recipe turns eggs into a contained, muffin like shape you can eat with your hands. 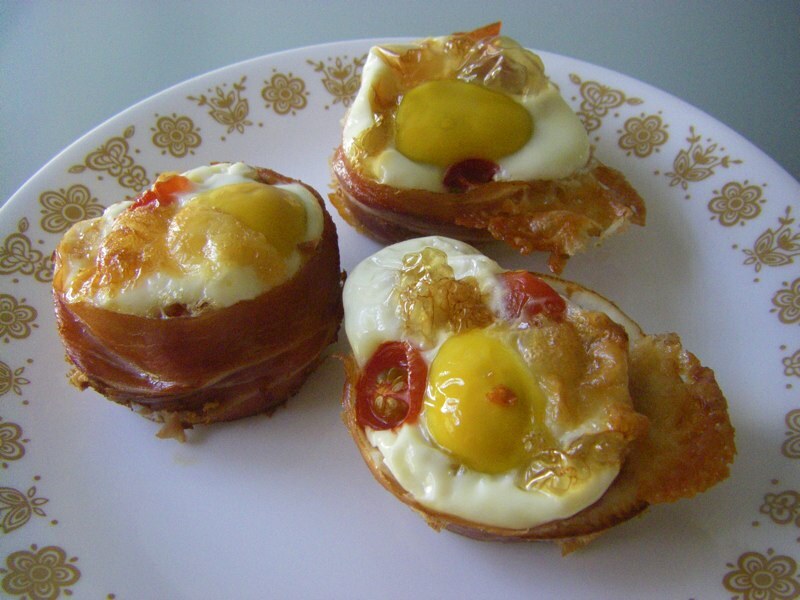 You can make the Egg Cups ahead of time and eat them hot or cold. They are a delightful breakfast treat that are fancy but easy and therefore appropriate for family or company. 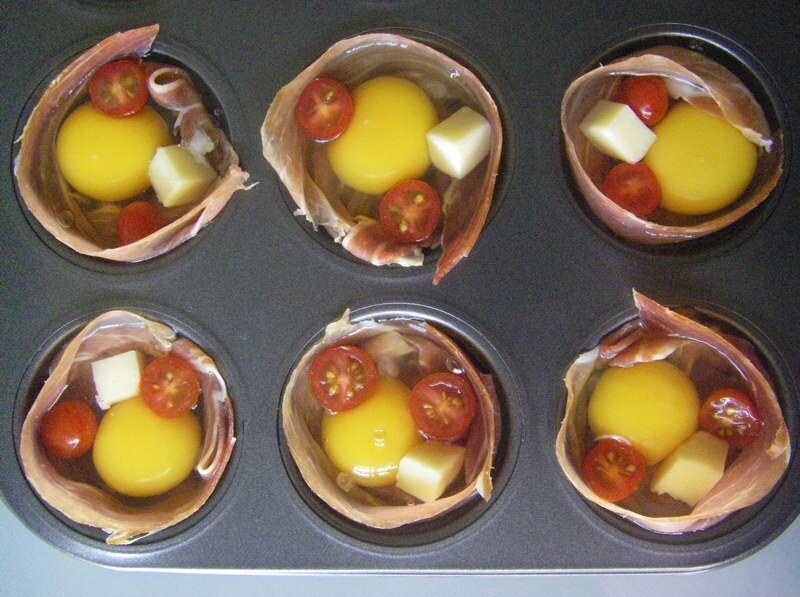 Prosciutto Egg Cups contain all of those breakfast essentials you crave and your body needs for fuel: eggs and prosciutto (think bacon’s elegant cousin) for protein, a bit of cheese for dairy and a vegetable to get your day started right. 6 eggs, I used large, but they work better with small eggs. 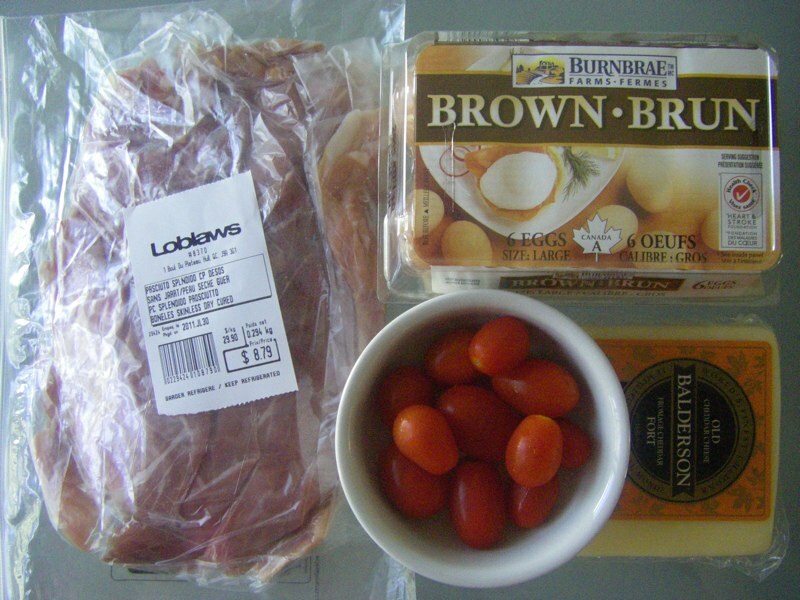 6 long slices of prosciutto: buy this at the deli counter of your local grocery store, ask for thin slices and get a few extra just in case, maybe about 100 grams which should cost you about $3. 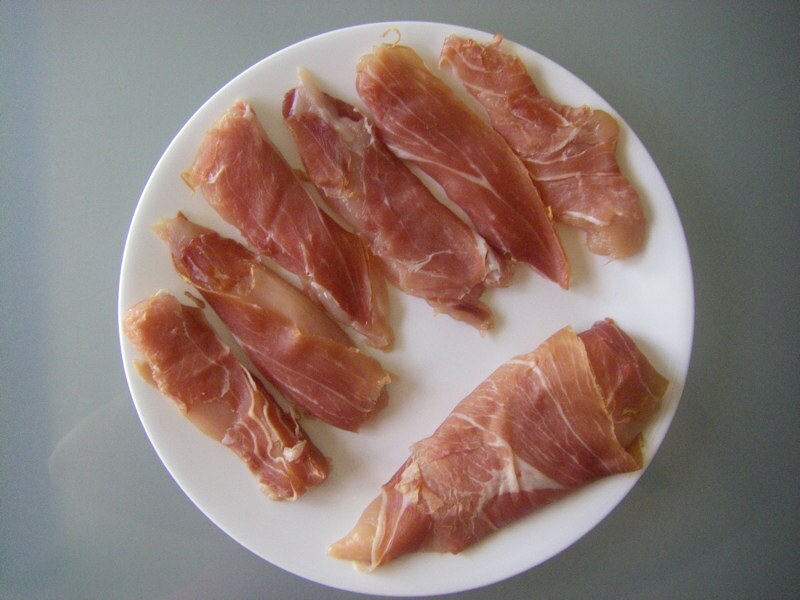 If you aren’t familiar with prosciutto, it tastes very similar to bacon but you don’t actually need to cook it whatsoever before eating it. 6 tiny cubes of cheese. 6 cherry tomatoes, or any vegetable(s) you prefer and/or already have in your fridge, grin. Please don’t add salt! The prosciutto is plenty salty enough. 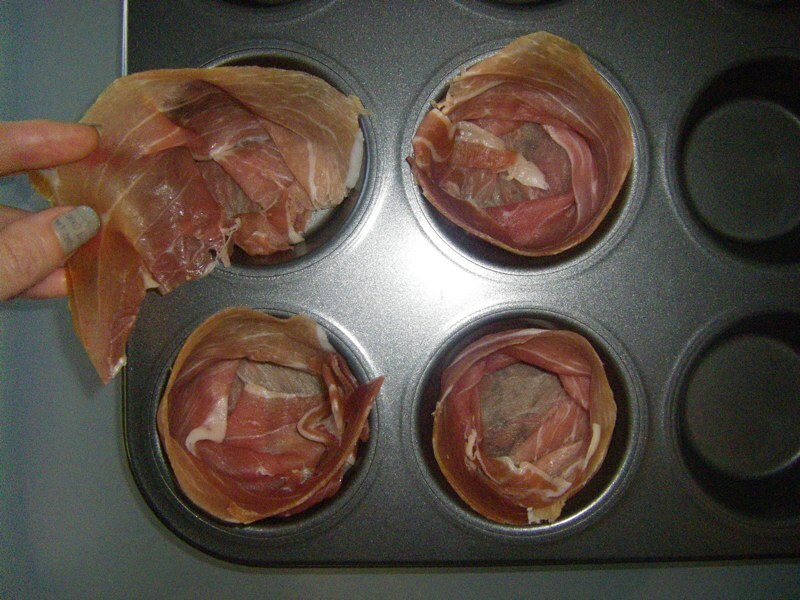 Line each cup of a muffin tin with a long slice of prosciutto. 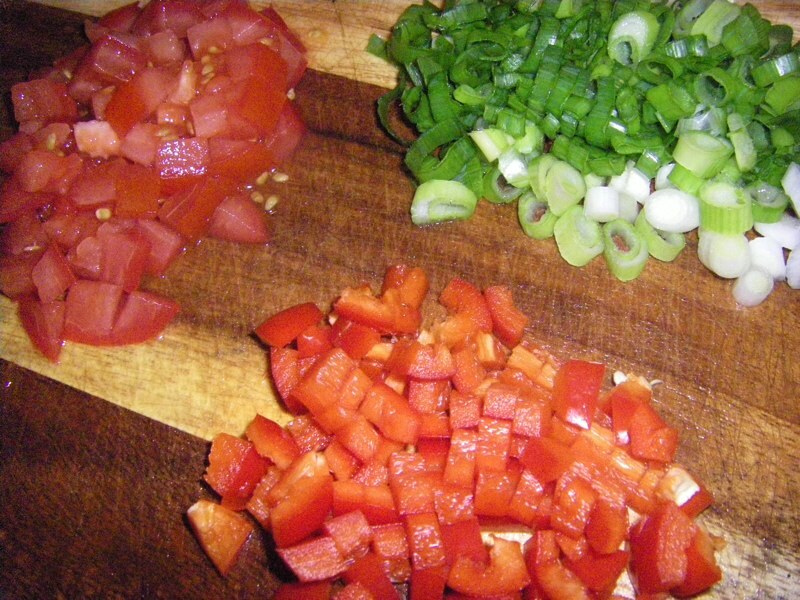 Add a cube of cheese and your chosen vegetable(s). I sliced my cherry tomatoes in half in case they might explode otherwise. Bake at 375 degrees for about 20 minutes for hard yolks, or less depending on how well done you like your eggs. Don’t worry, even the Egg Cups that slightly overflow during cooking like the little cheesy explosion you see above are pretty easy to pop out of the pan. 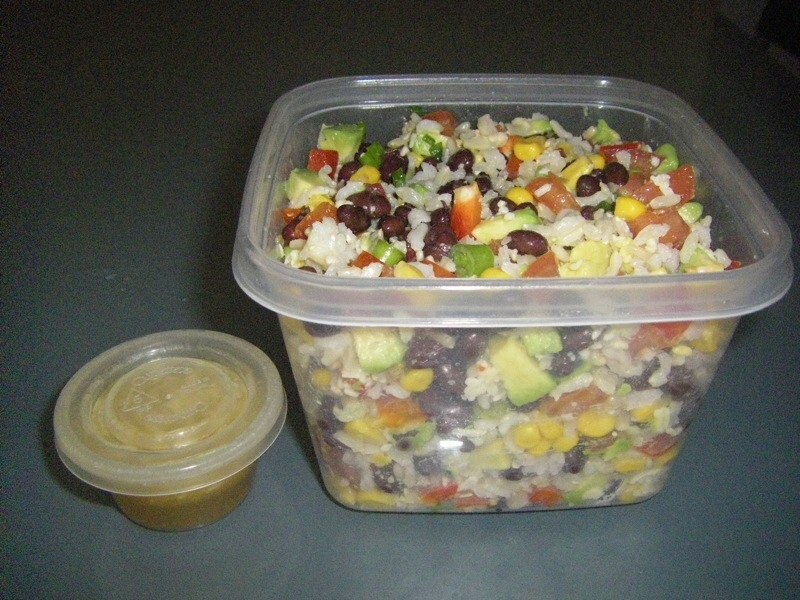 Enjoy immediately or refrigerate for a few days and reheat or eat cold for a quick breakfast to go! Jump up. 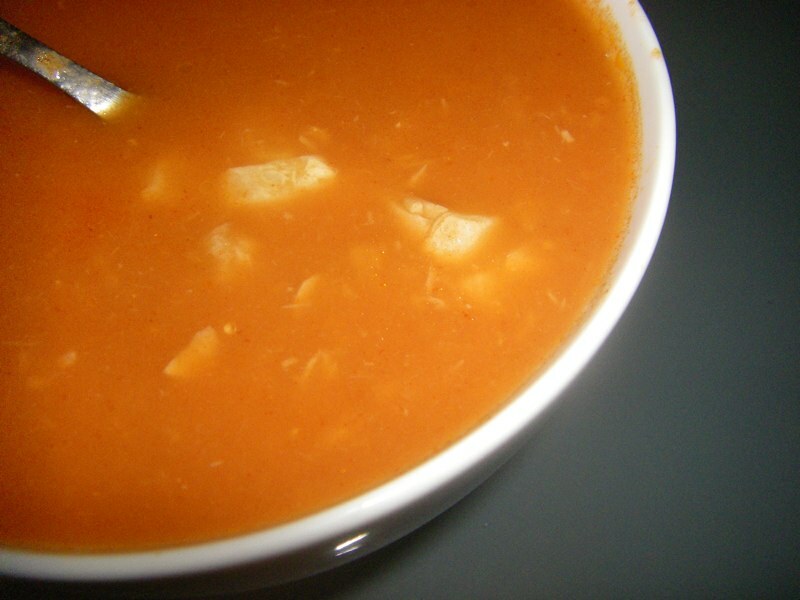 This Tuna Tomato Soup isn’t exactly a recipe, but it’s gotten me through some tough days. Days when time slips away, when my pockets were bare, when cooking isn’t feasible and when my tummy shouts from hunger. 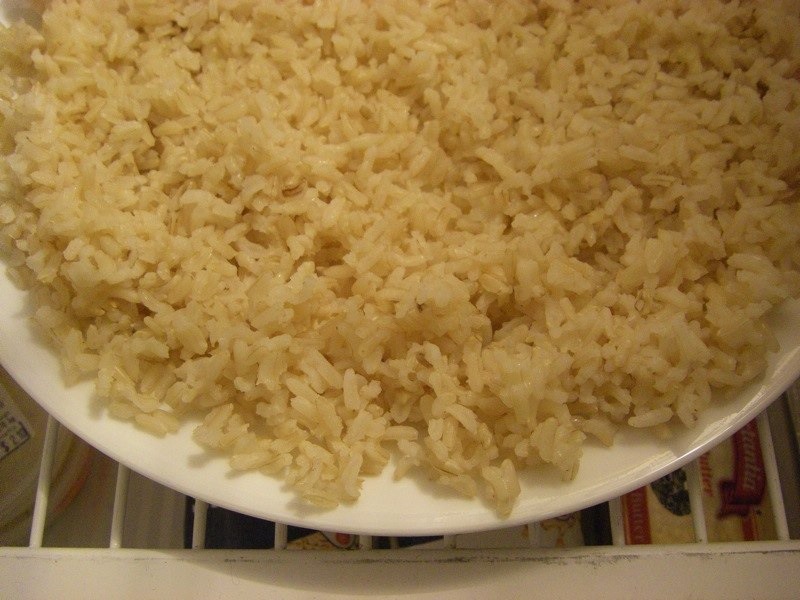 When I was younger and less experienced, I would often quiet the shouting with a bowl of plain rice but now that I’ve grown I’ve realized these are the days that you need to nourish yourself most. So I found myself a fail safe instant meal that at least provides the basics: three of the four food groups including tuna for protein. 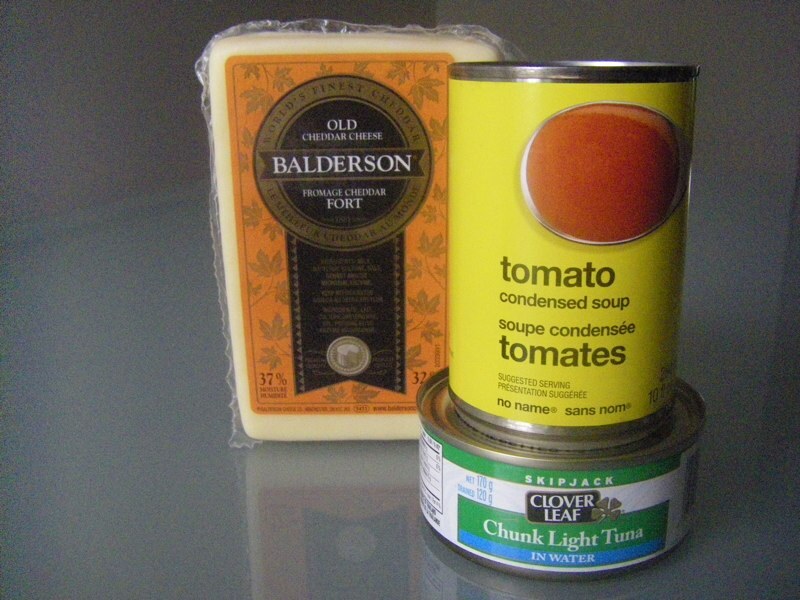 I buy extra tomato soup and tuna whenever it goes on sale and always keep a block of cheese in my fridge, just in case. 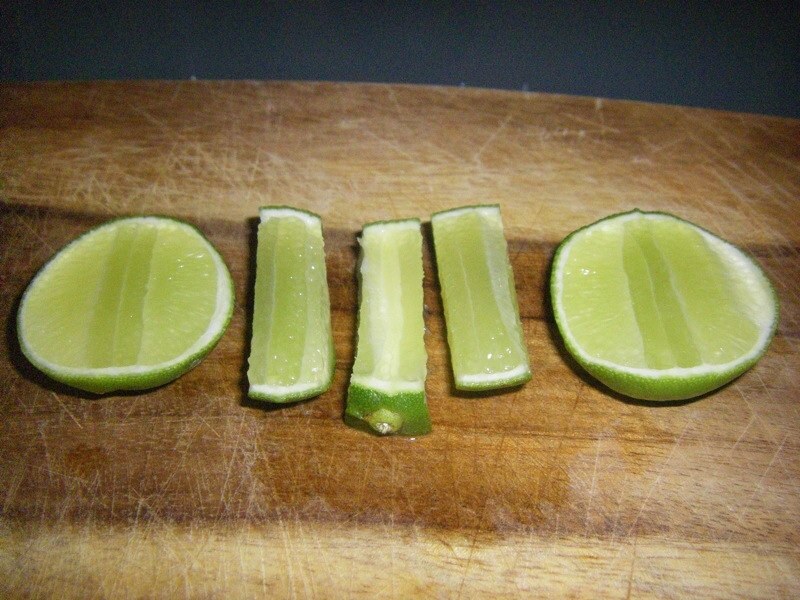 If you ever find yourself experiencing a tough day, I hope this little idea provides you a bit of relief. 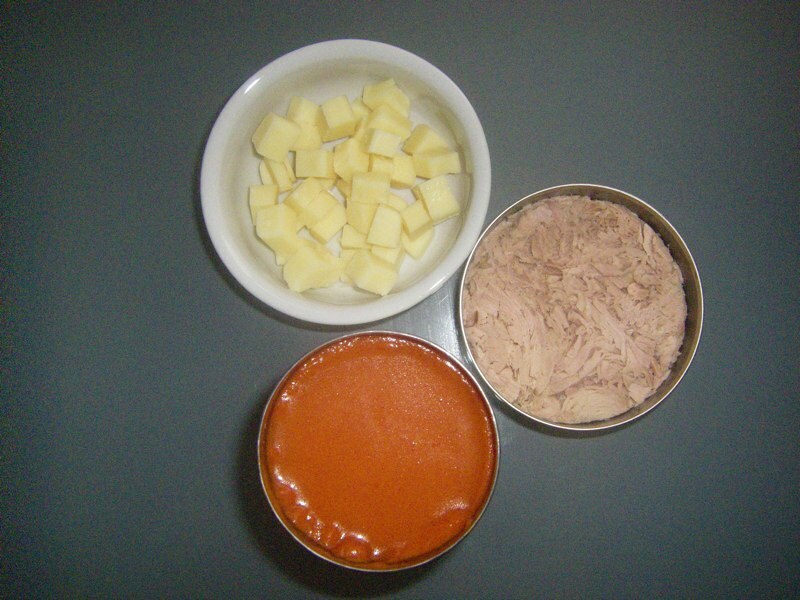 Tuna, one can (always buy chunk over flaked if they are the same price). Open the tins. Drain the tuna. Give the juice to your kitty cat if you have one and she will love you forever! 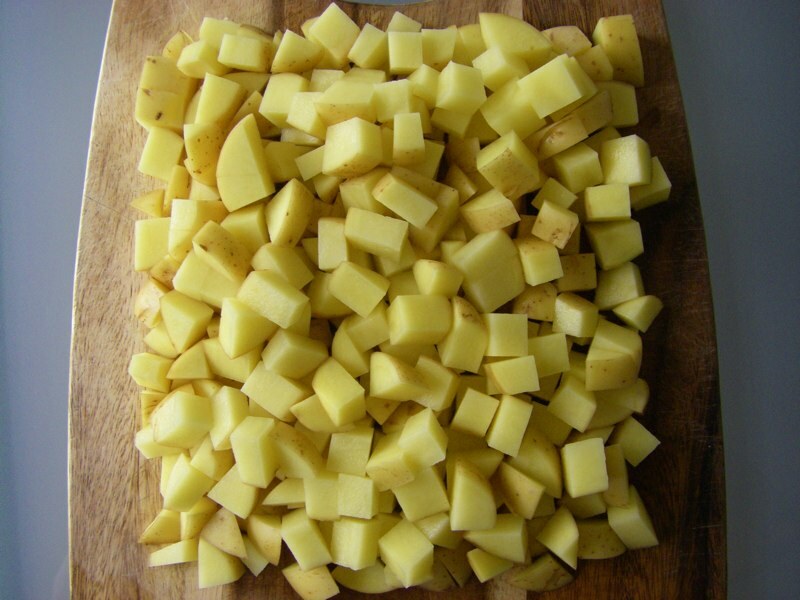 Cut a bit of cheese into little cubes (this will provide more cheese flavour than grating it does). 30 seconds of work. 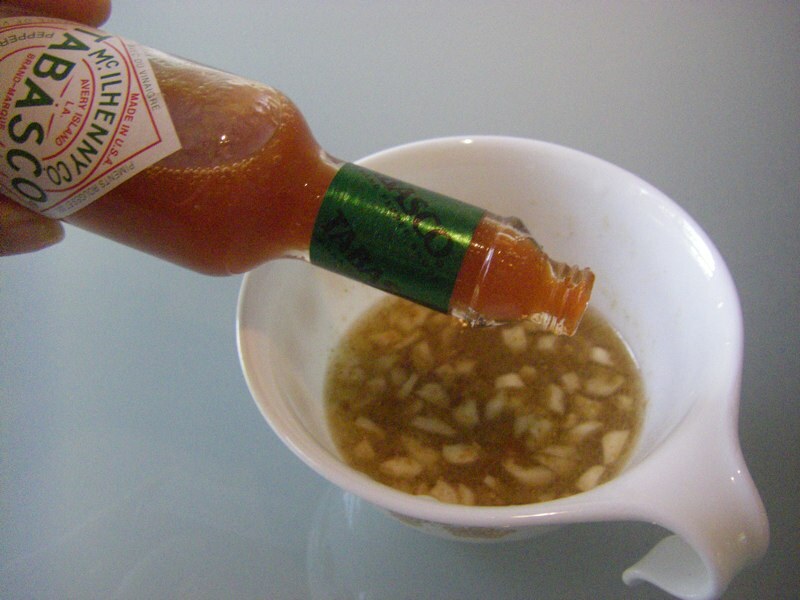 Pour everything plus a tomato-soup-tin-can full of water into a large bowl. 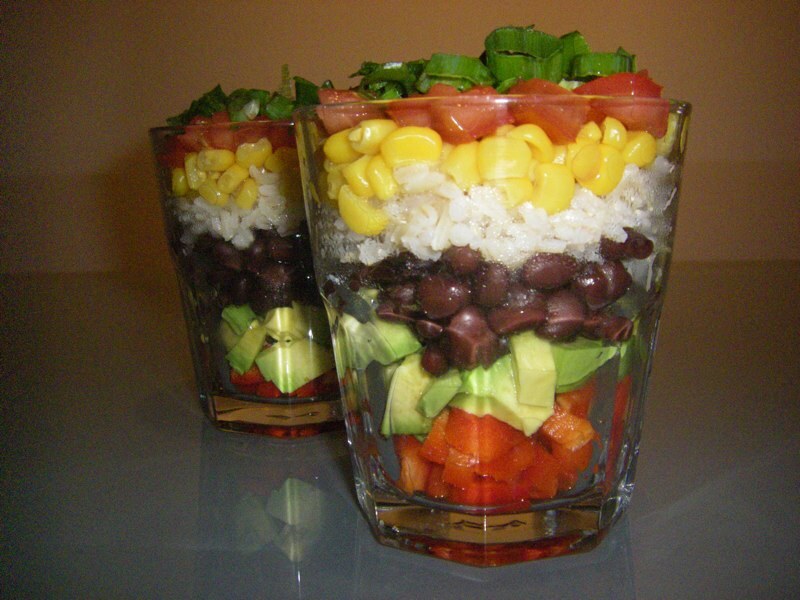 Microwave for about two minutes and 30 seconds. Nourish yourself on these days. This too shall pass, I promise. Jump up. 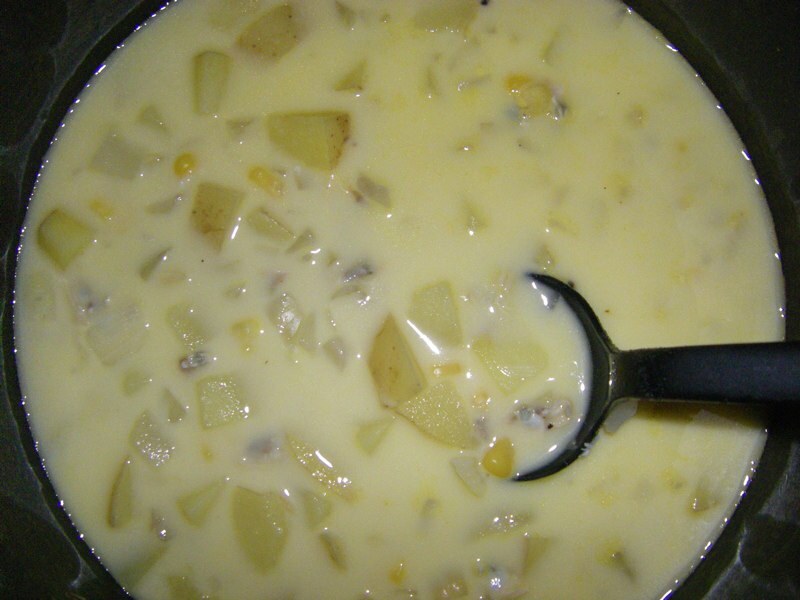 Clam Chowder is likely way easier to make than you think! Plus it sounds fancy, so it’s a nice dish to cook for company or parents or a romantic evening. 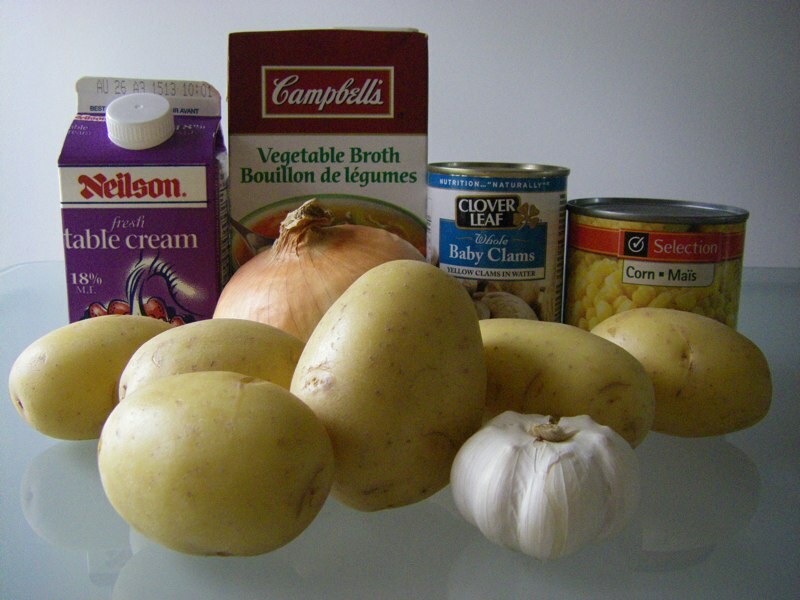 This version is very light, perfect as either a starter soup or a simple meal. If you want a heavier, creamier version, swap out the table cream for whipping cream and add up to twice as much. 6 small potatoes (or maybe 4 large ones). 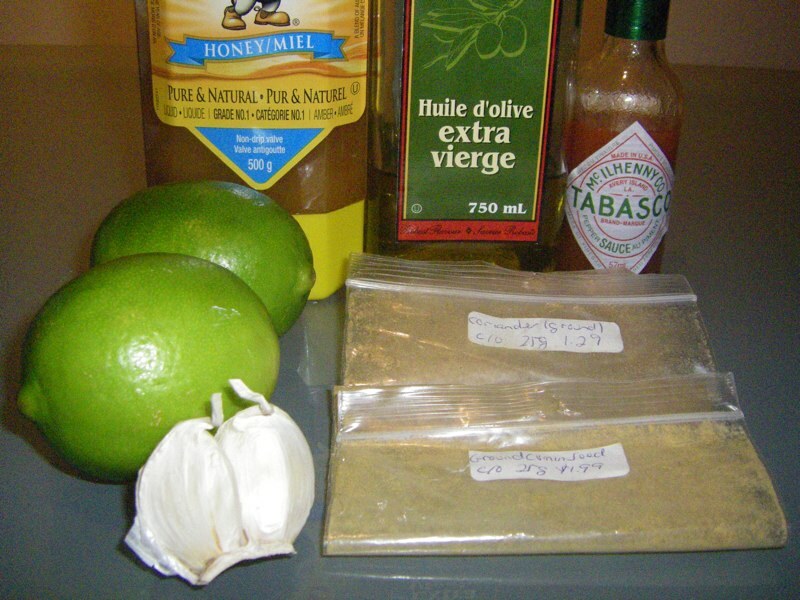 Garlic, I used 4 cloves. 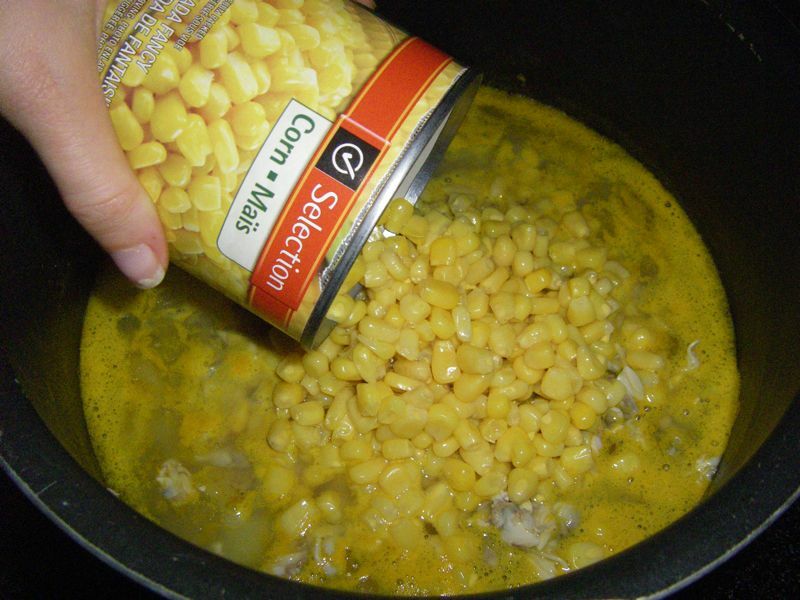 1 can corn – do not use sweet corn, it is too overpowering in this soup. 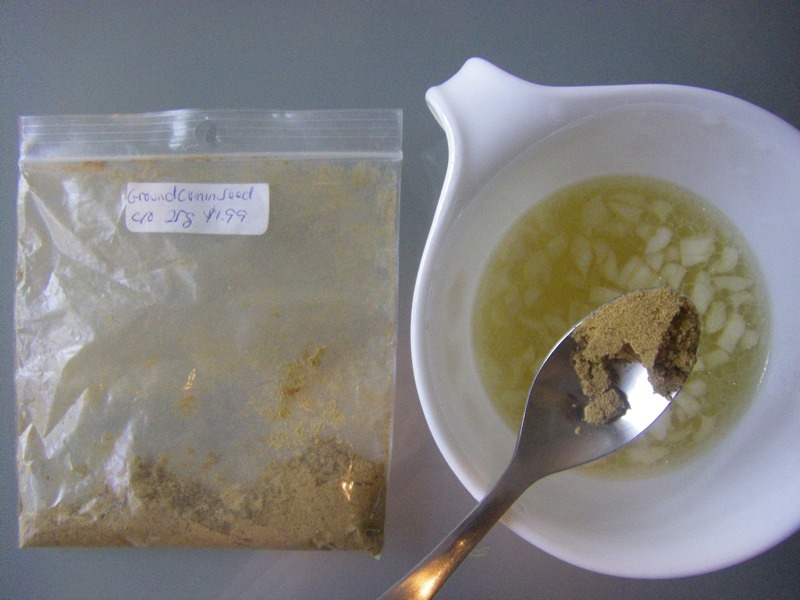 1 cup of cream, you can use 10%, 18% or whipping cream depending on your personal taste. 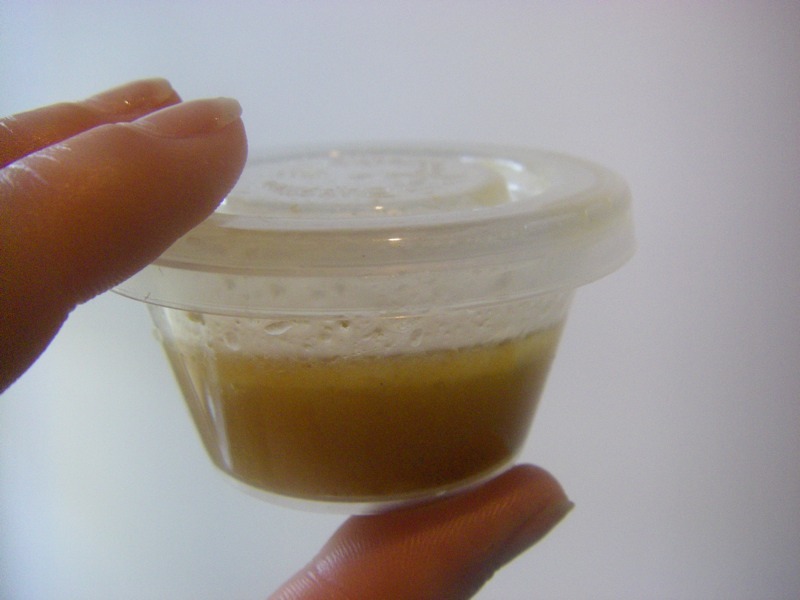 Broth or water, you need about 1 litre of liquid – I used 900 ml of ready made vegetable broth, but 1 or two cans of condensed soup plus water works, chicken broth works, or just plain water is okay in a pinch too. 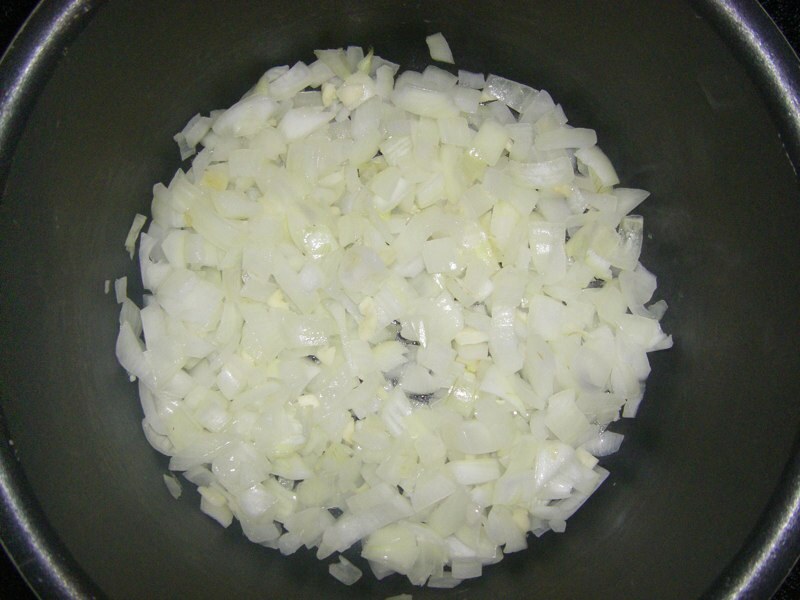 Place the onions and garlic in a large soup pot (with a bit of oil if you have some) on medium, stirring occasionally, until the onions are a bit clear, about five minutes. 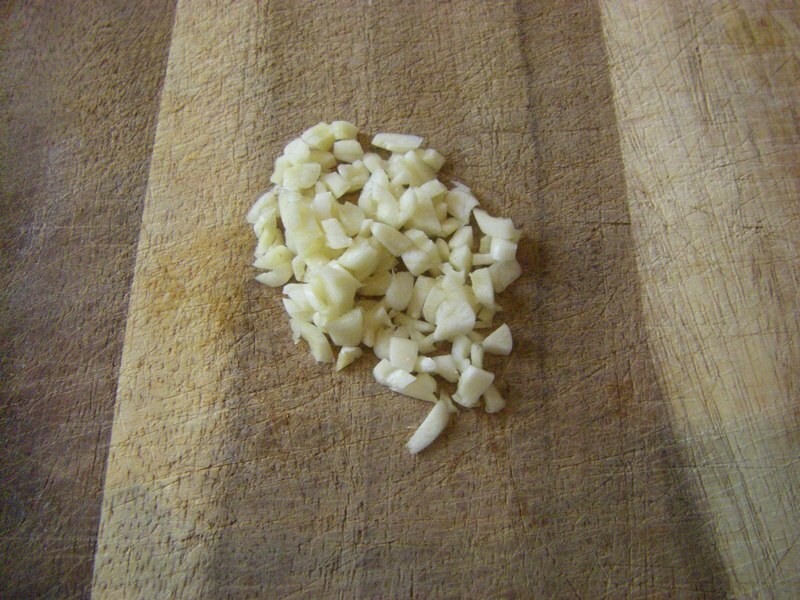 While you are waiting for the onions and garlic to cook, dice up the potatoes. 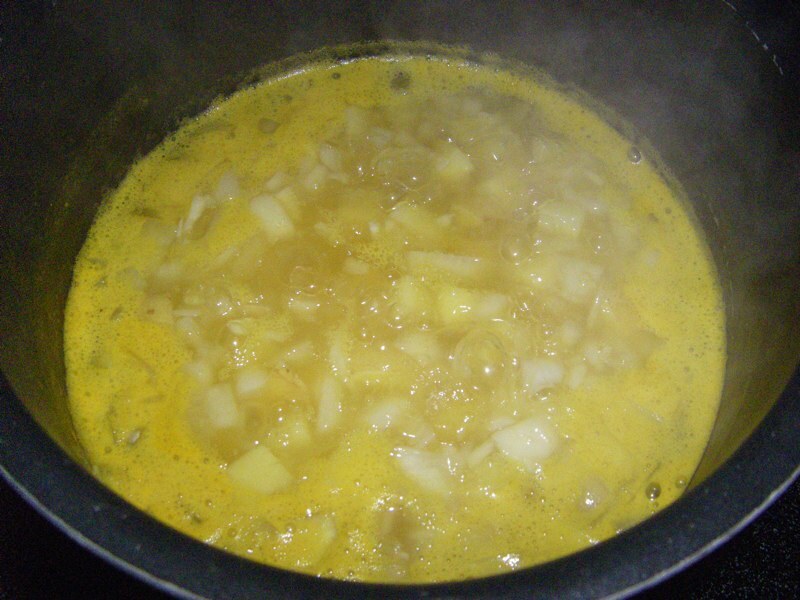 Add the potatoes to the large soup pot. Add the broth and/or water. 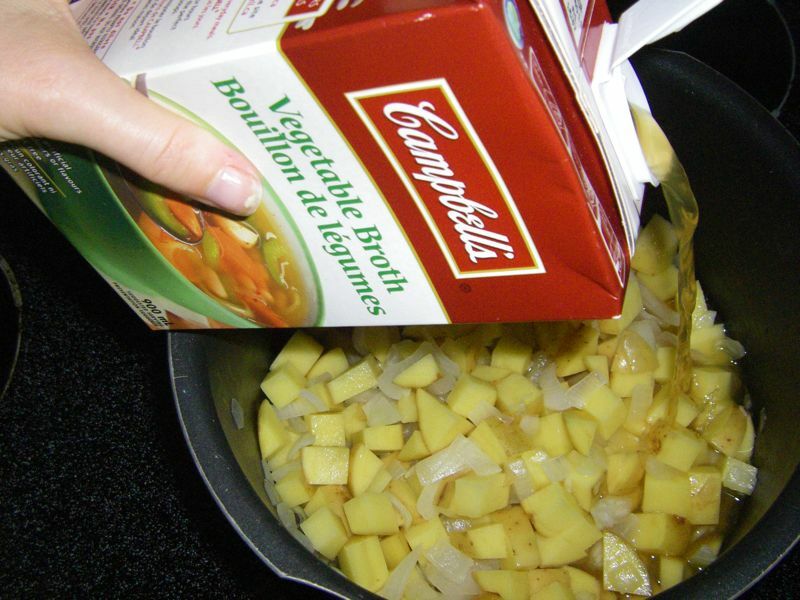 The liquid should just cover the potatoes. 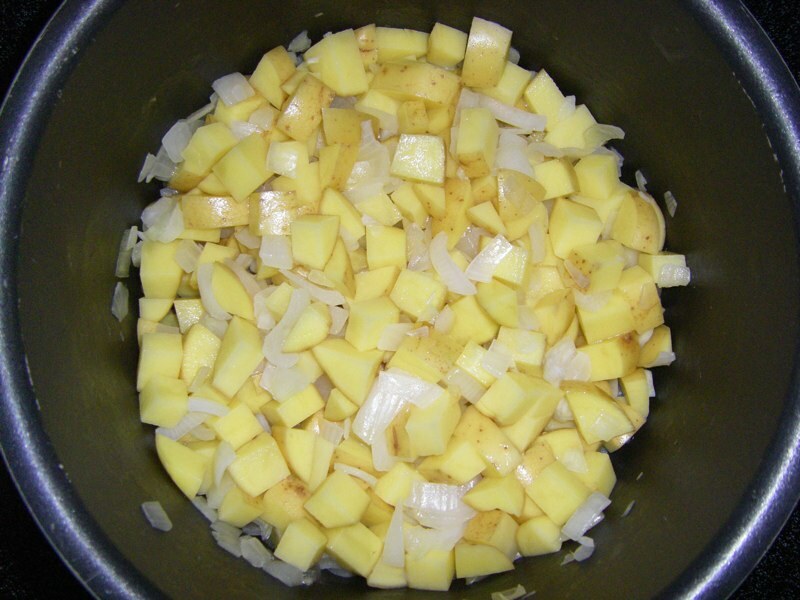 Let boil on medium until the potatoes are soft and cooked, 15 to 20 minutes depending on how small you diced them. 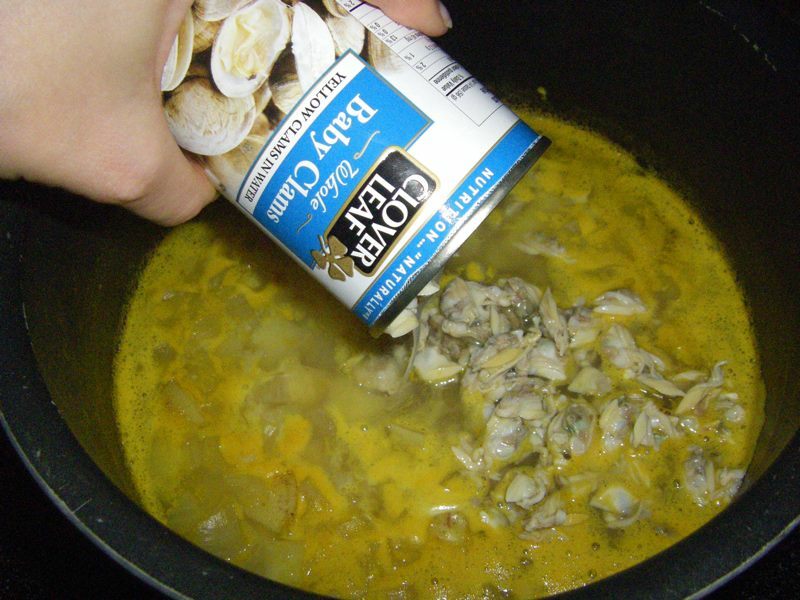 Add the entire can of clams including the liquid. Drain the liquid from the corn and add the corn to the pot. 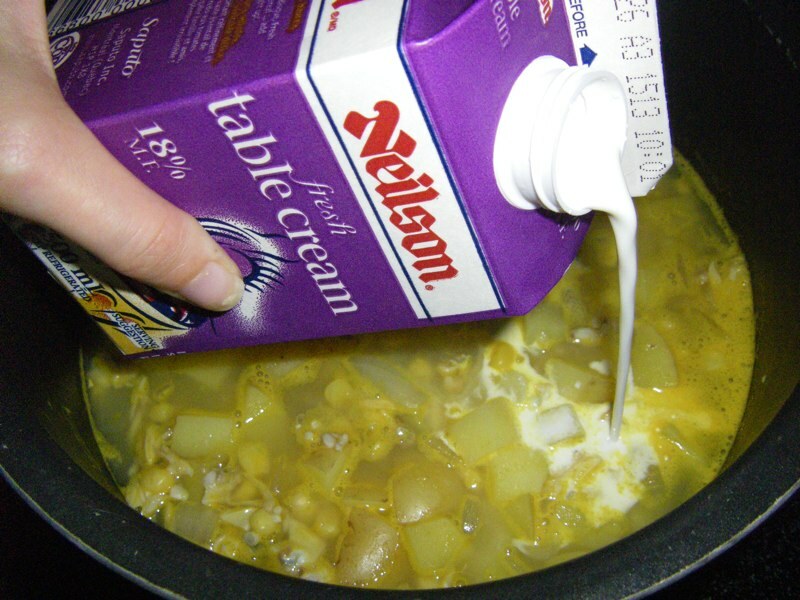 Turn down the stove to medium-low and add the cream to the pot. Unless you are using whipping cream, it is very important to not let the soup boil once you’ve added the cream or else it will separate and not look very pretty (it will still taste the same, but we are going for fancy here). 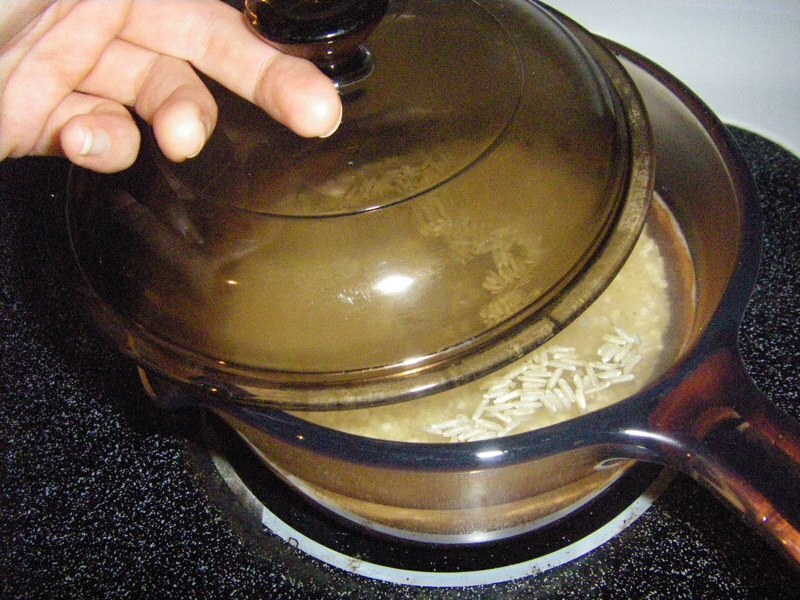 As soon as everything heats up (this only takes a minute or two), the soup is ready! Tell your dinner mates you spent all day in the kitchen and bask in the compliments! Jump up.